Classes take place throughout the week for adults and children (aged 13 and below) at our dojos. Most trainings in Singapore take place in air-conditioned multi-purpose halls and are overseen by Kelly Tan Sensei (5th Dan). For specific locations and times, please scroll down to find one that is most accessible and convenient for you. Do note that classes are closed during public holidays, Christmas Eve and New Year's Eve. Please visit our Journal for the latest updates. The biggest and most popular of all three classes, It is also the only dojo where adults and children train at separate times. Training is held on Tuesdays beginning at 19:00 - 20:00 for children followed by 20:00 - 21:30 for adults. 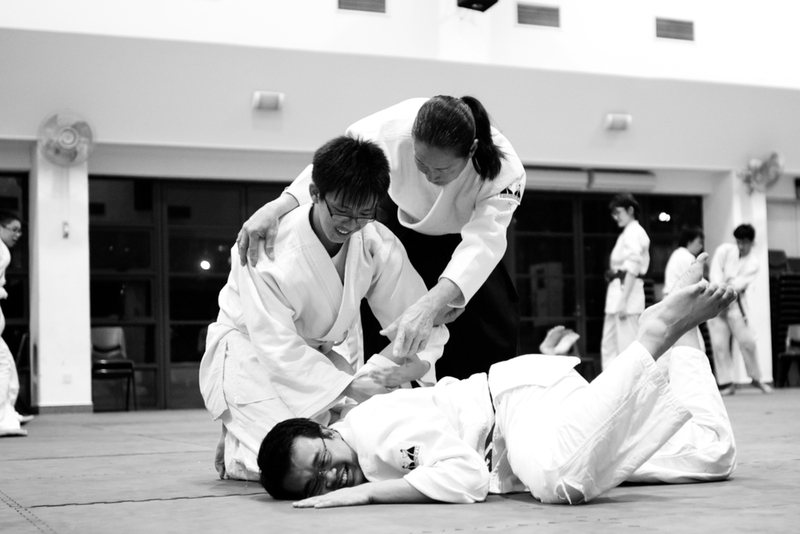 Both timing and location make Toa Payoh Central Dojo a popular choice to end the work week. Refresh both body and soul in training followed by our weekly ritual of supper. Training is held every Friday at 20:00. Children's classes end at 21:00 and adult's at 21:30. Kick-start the work week with Aikido classes at Toa Payoh South CC, which is located at the eastern cluster of Toa Payoh. The Adults-Only trainings are held in the air-conditioned Dance Studio on Level 2 every Monday from 20:00 to 21:30. Opened in August 2015 by Prime Minister Lee Hsien Loong after an 18-month upgrading programme, this club incorporated features and facilities that were suggested by 2,500 residents and students from surrounding schools. Classes are conducted in an air-conditioned classroom on Level 4. Classes are held every Thursday at 19:45. Children's classes end at 20:45 and adults at 21:15. Sheltered from the city's bustle, Ang Mo Kio Community Centre is one of the 5 activity centres catering to the residents of a town that ranks 8th in terms of population in Singapore. Trainings are held every Sunday at 10:00. Children's classes end at 11:00 and adults at 11:30.